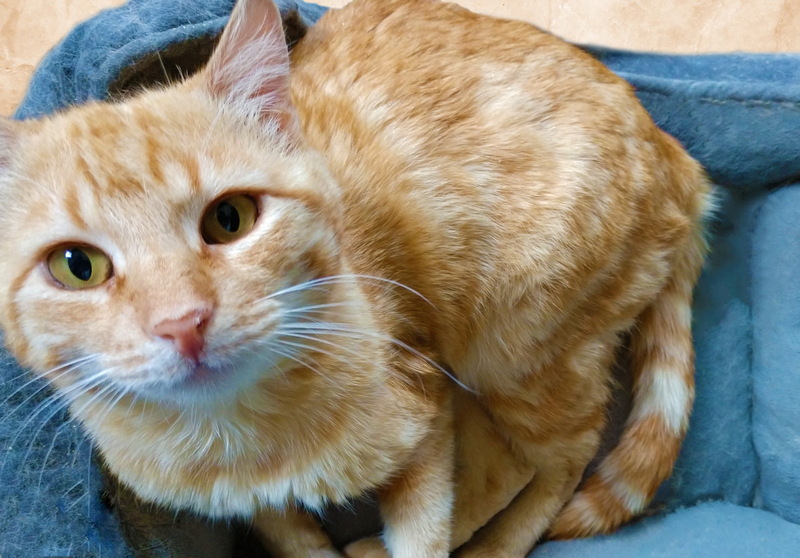 You are here: Home / Adopted Cats / Jono – Adopted! 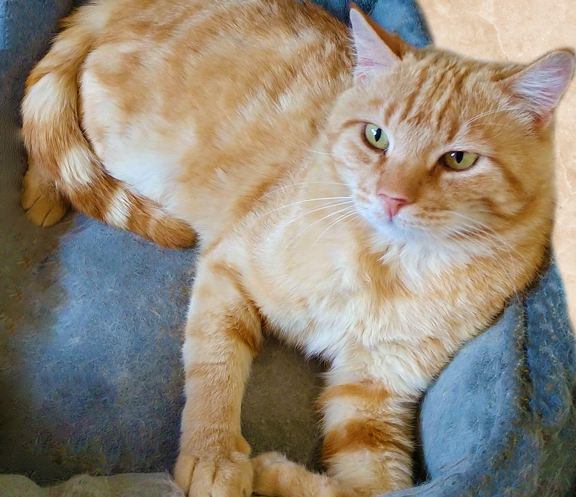 Jono was rescued from Devore Shelter by the Kitty Devore Rescue Team in March of 2018. 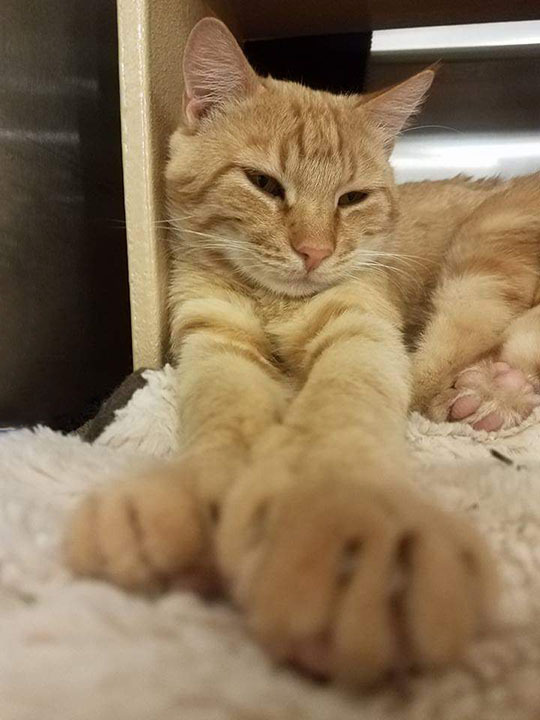 The shelter estimated this handsome marmalade man to be about 3 years old and, once we got him out of the shelter and into the care of one of our amazing rescue veterinarians, they agreed. Jono is still a young man with a lot of years ahead of him yet! 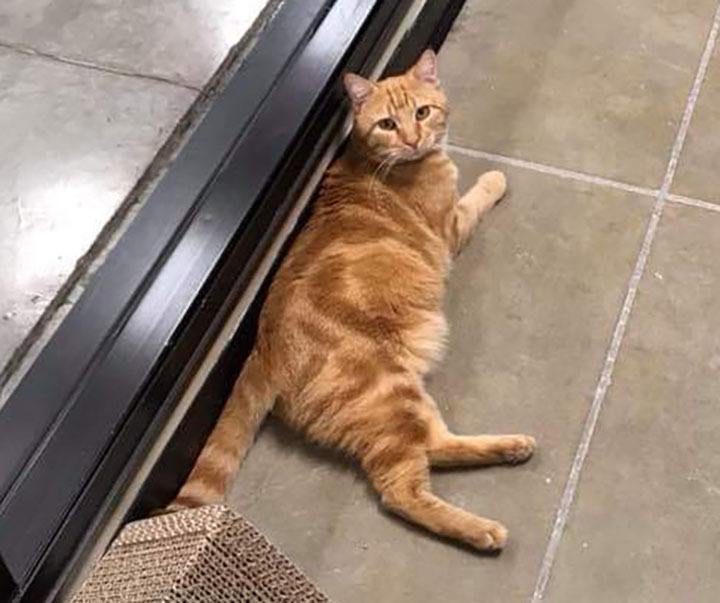 Many orange tabby males are outgoing and gregarious but Jono is pretty mellow and has a little bit of a shy streak when meeting new people. However, once he gets to know you, he enjoys having involved conversations, preferably while you pet him. 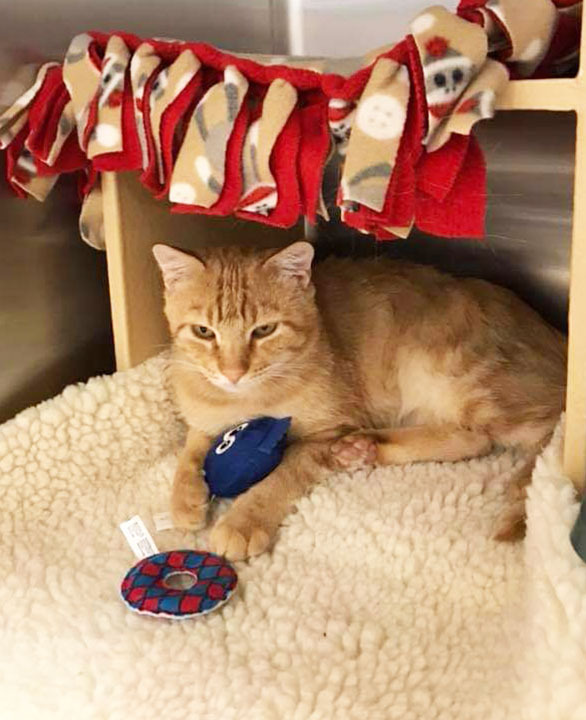 He’s also a guy who loves to relax in a snuggly kitty bed or warm, fuzzy blanket in front of a window where he can bask in the streaming sunshine – or next to you while you sit on the couch to read or watch TV. 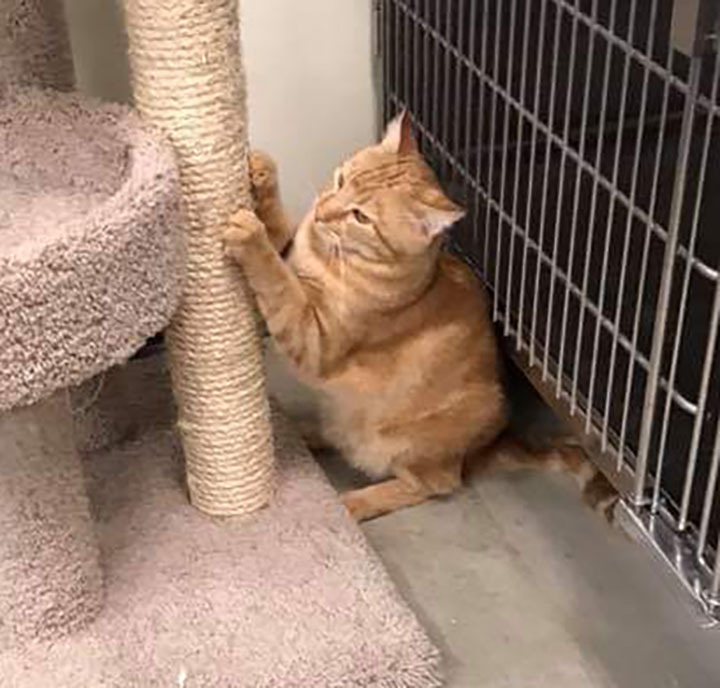 Jono was adopted December 29, 2018!